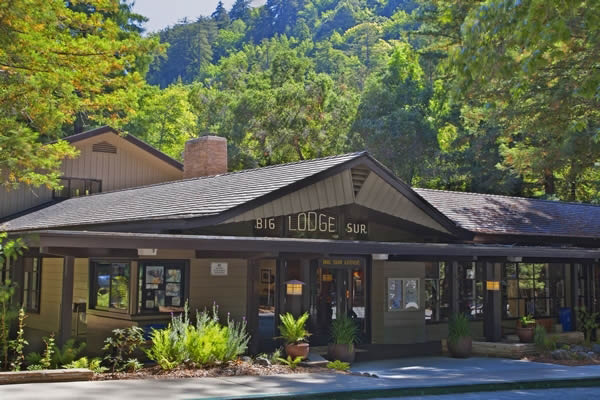 For the absolute best hotel rooms and family suites available at Big Sur Lodge, inside the Big Sur State Park, just call 831-372-5000! Free local Carmel Area Reservation Service agent will let you know all of the possibilities to book the perfect accomodation for your stay in the magestic park. Hike the Gorge, the Big Sur River Trail and to Pfeiffer Waterfall. Swim in the pool surrounded by redwoods trees. Feel the peaceful place that is Big Sur! Group reservations and event planning are part of this free service. No adventure or experience to too large or too small, to make yours an incredible gathering for all! Big Sur Lodge facilities within Pfeiffer Big Sur State Park include a full service restaurant which serves breakfast, lunch and dinner, features fresh local seafood-and is an ideal location for a memorable dining experience. The Lodge Gift Shop is full of imaginative and fun items with natural beauty and local lore for all ages. Lastly, the Country Store has many sundry and edible items that will make your visit a more enjoyable experience. Adventure and activities abound within the state park and Pfeiffer Big Sur State Park and entry fee is included with your room reservation. This includes the fee day of your arrival to the state park, then during your entire stay and for the last day too, the fee for the day of your departure from the park is included. The Big Sur Lodge is situated in a forest of majestic Redwood trees and is set near the Big Sur River inside of the wondrous Pfeiffer Big Sur State Park in Big Sur, Calfornia. The lodge accommodations feature 61 cottage style guest units and family friendly suites. Some rooms have fireplaces and kitchenettes, with some offering private guest bedrooms. The lodge swimming pool is nicely located in a clearing of a grove of beautiful redwoods. Big Sur Lodge is ideal for couples, families and group gatherings, company retreats, team building, adventure clubs, plus outdoor weddings and family reunions are ideal in this natural setting of meadows, hiking trails, swimming holes and waterfalls. Hiking trail lead to amazing valley views and complex rock formations.